Arjuna Ranatunga's statistics may be overshadowed by the great Sri Lankan batsmen that have followed him, but he still had a fantastic career, spanning from the country's first Test in 1982, all the way to the new millennium in 2000. Ranatunga also captained 56 of the 93 Tests he played, meaning he has captained more Test matches than any other Sri Lankan. Ranatunga's Test career is an odd one, as he despite a reasonable batting average of 35.70, he only scored four hundreds, all of them at home. Nevertheless, he averaged over 40 in Australia, England and the West Indies, all places where conditions were very different to where he played most his cricket. Yet against India Ranatunga struggled greatly, averaging just 20.21 in the 11 Tests he played. 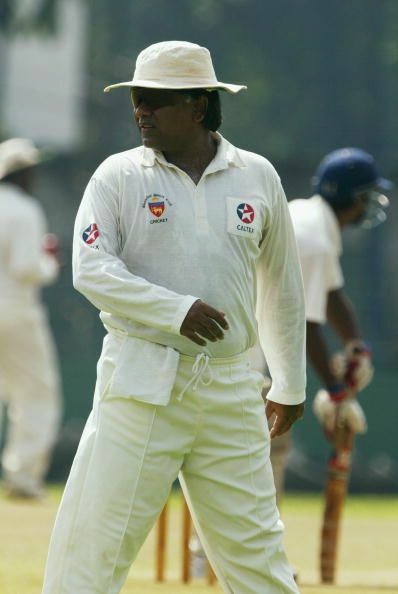 In fact, in the five series Ranatunga played in India, he never once finished a series with an average above 30, nor did he ever score above 59. Similar to Ponting, this is to some extent explained by a bowler Ranatunga had a particular weakness against. But despite having played against the likes of Anil Kumble and Kapil Dev, the bowler who troubled Ranatunga the most was Venkatapathy Raju. Raju only played 28 Tests, but was perhaps unlucky not to play more, as he had a solid record in these games. But he still managed to leave his mark on the Sri Lankan great. He dismissed Ranatunga six times in just 10 innings. To put this into context, Kapil Dev bowled to Ranatunga in 26 separate innings, yet only dismissed him twice. Ranatunga's record against India is therefore rather peculiar, not just in that he was a quality player who struggled, but also for the way he struggled.